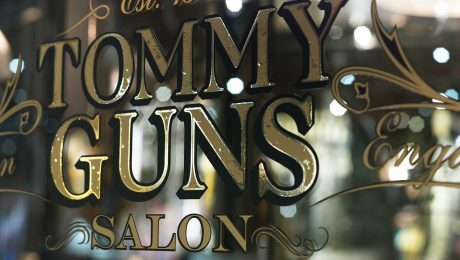 Upmarket unisex hair and beauty salon Tommy Guns restored a magnificent Grade I Listed barber’s shop, dating from the 1920s and closed for many years, in London’s Regent Street. The company came to us for a new logo, website (www.tommyguns.co.uk) and complete brand identity to match its unique setting. We took our inspiration from New York in the 1920s – the so-called Roaring Twenties, when fortunes rode high ahead of the Great Depression, and speakeasies, bootleggers and gangsters flourished under Prohibition. In particular, we looked to the traditional barbershops down in the Subway, which have something of a cult following among New Yorkers. Reflecting both the shop environment, and the trend for retro fashions combined with tattoos, piercings and other more contemporary adornments. 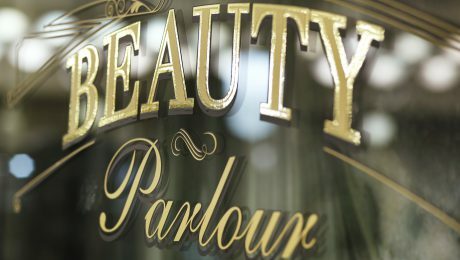 Applied across the full range of stationery, window graphics, price lists, posters, packaging, and a desktop website.